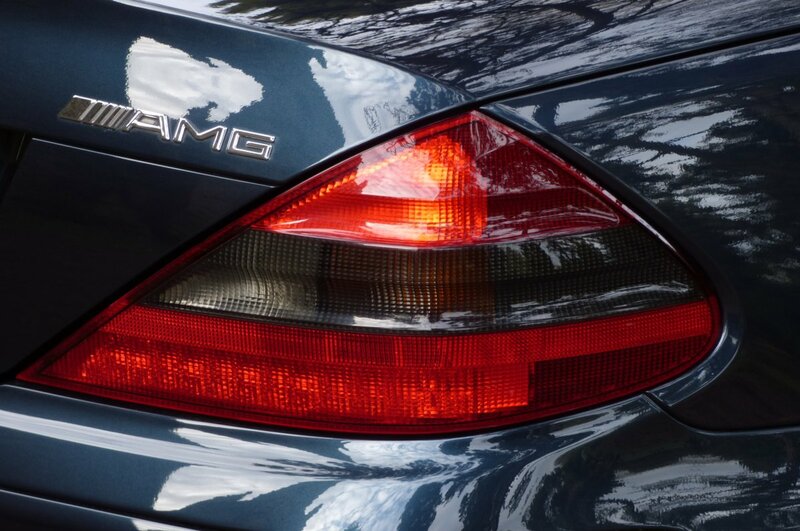 AMG Was Founded As A Racing Engine Forged In 1967 By The Former Mercedes Engineers, Hans Werner Aufrecht And Erhard Melcher, With The Letters "AMG" Standing For Aufrecht, Melcher and Großaspach (Aufrecht's Birth Town). 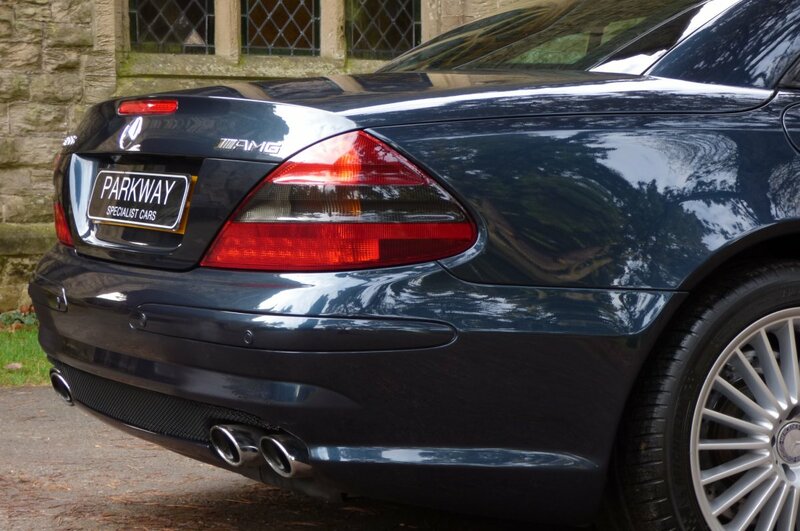 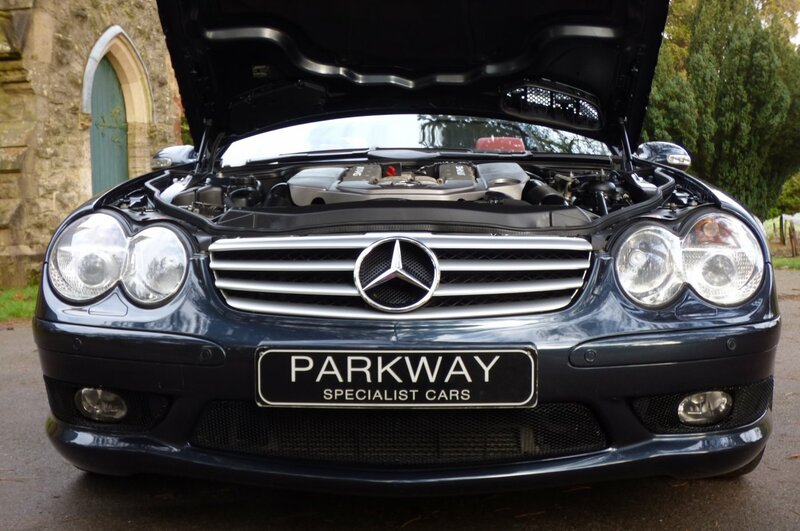 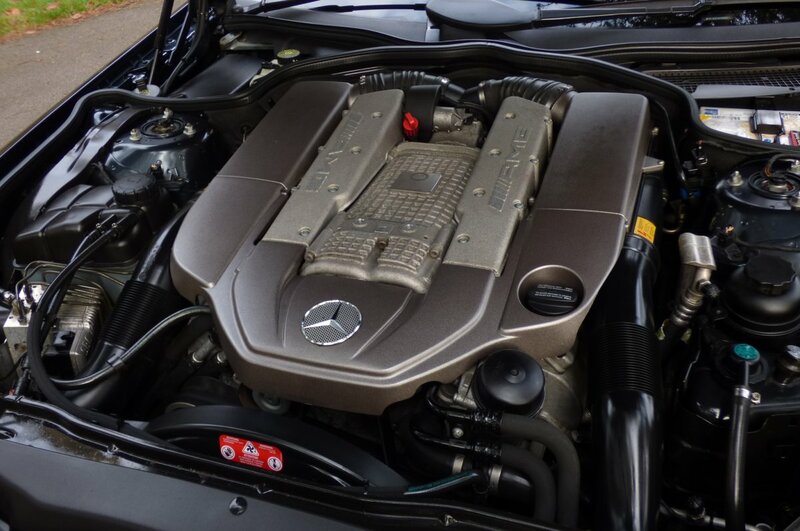 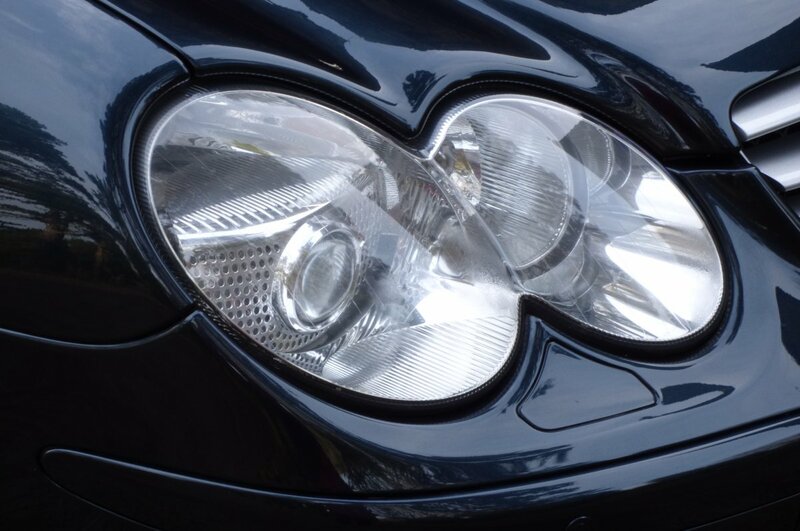 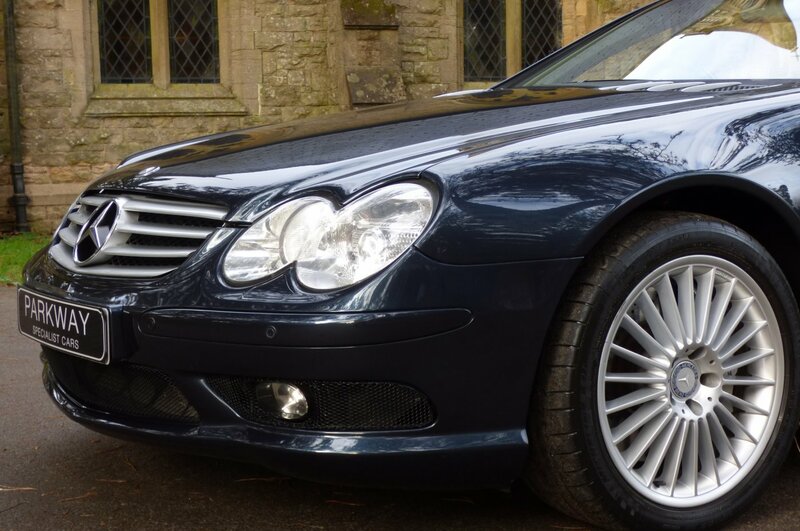 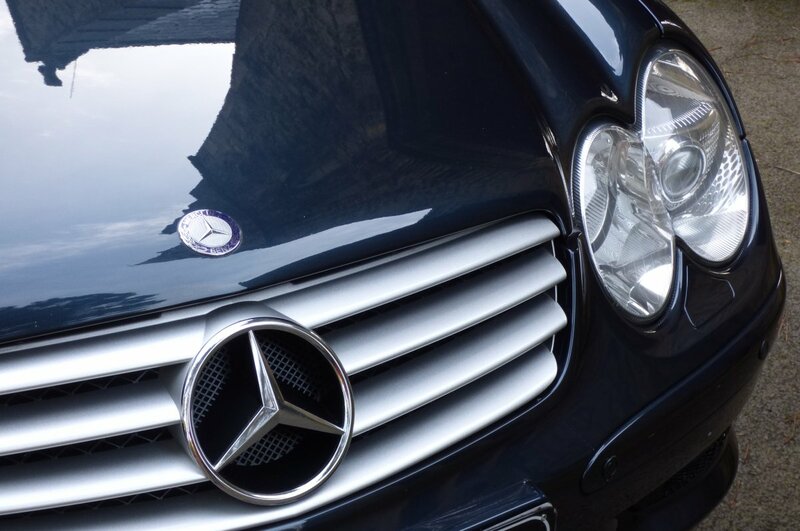 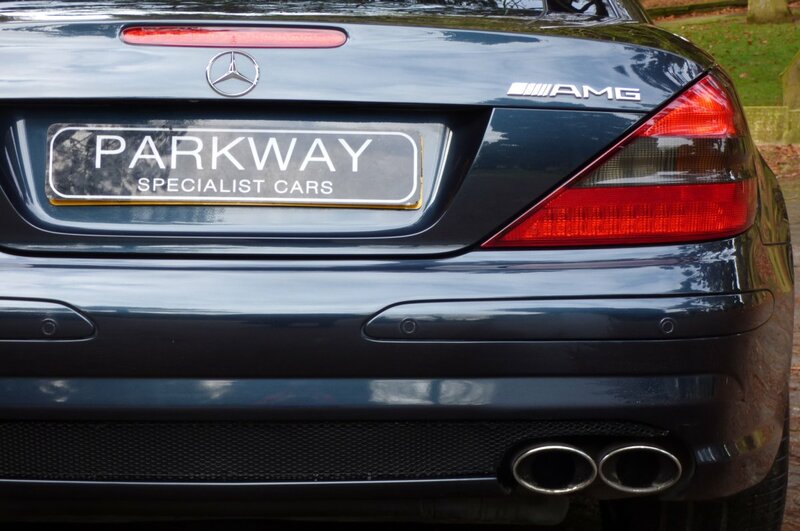 Now Owned By Daimler Mercedes, This Special Brand Is A High Profile Purveyor Of Modified Mercedes Vehicles, Adored By Drivers And Feared By Other Manufacturers. 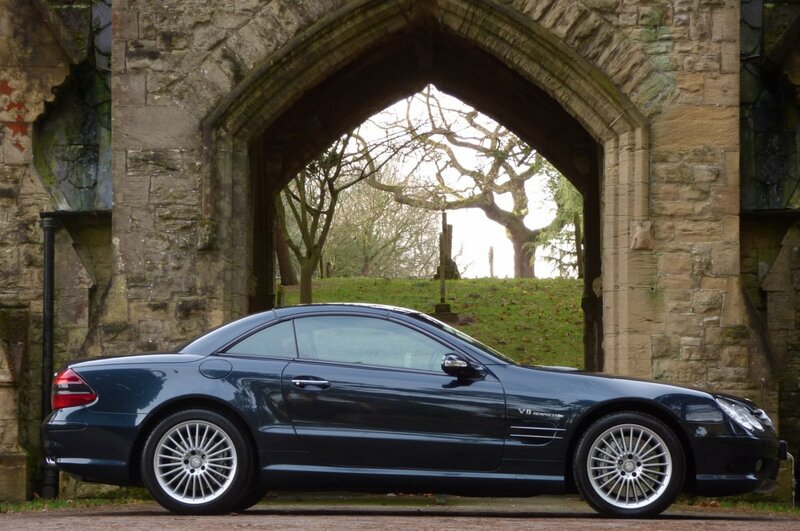 In 2001 The German Car Manufacture Introduced To The World The First Official R230 Model At The September Frankfurt Motor Show And Was Also Showcased As The Safety Car For Formula One At The 2001 German Grand Prix In Hockenheim, With The Mighty SL55 AMG Becoming Available In 2002. 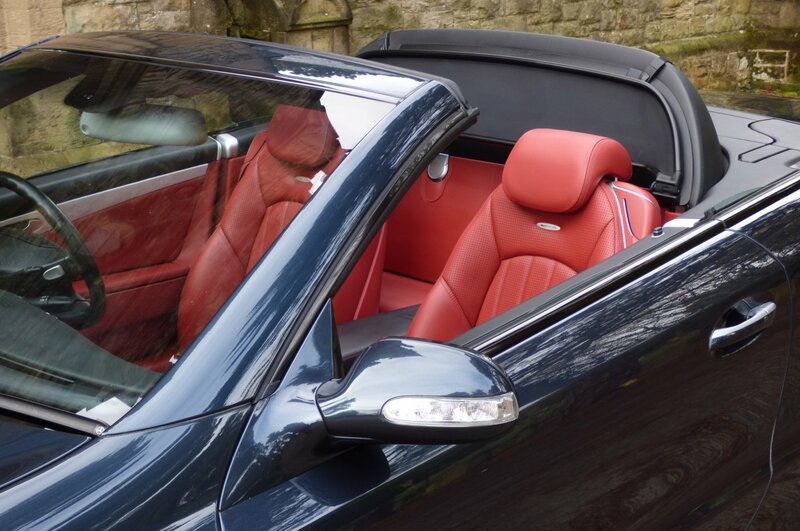 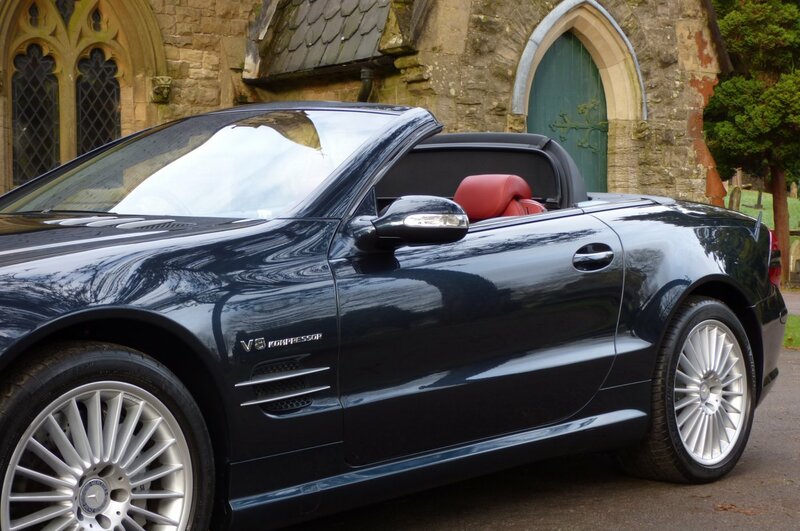 This Model Was To Be The Top Option Available At The Time From Mercedes Benz Offering Clients From Around The Globe, The Ultimate In High Powered Open Top Motoring, With Refined Luxurious Detail And A Monster 5.4 Litre V8 AMG Engine That Produced A Rather Healthy 476 BHP, Capable Of Accelerating Both Driver And Passenger From 0-62 MPH In Just 4.3 Seconds And Offering A Limited Top Speed Of 155 MPH. 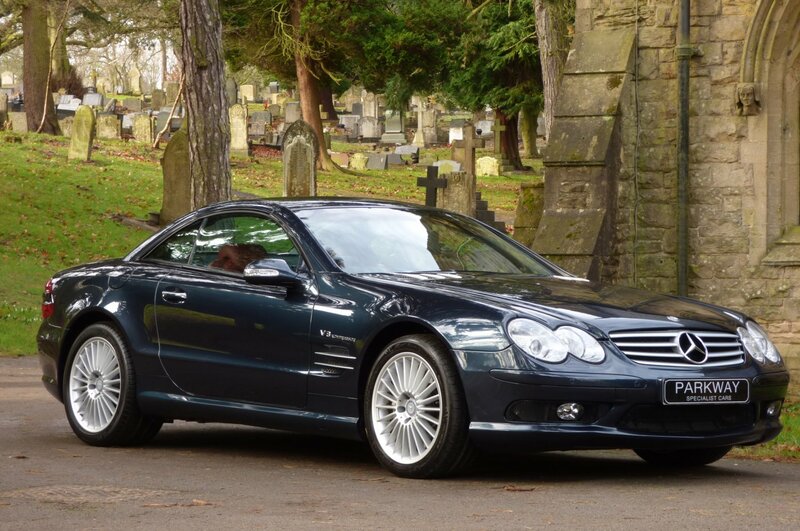 If We Fast Forward To 2018, This Model Has Become Highly Desirable In The Modern Day Classic Collectable Circle, With Many New And Established Buyers Wanting To Acquire Low Mileage Examples, With Excellent Past Service History, With These People Seeing These Now Rare Vehicles Has A Perfect Investment Opportunity With Values To Only Ever Increase Over Time. 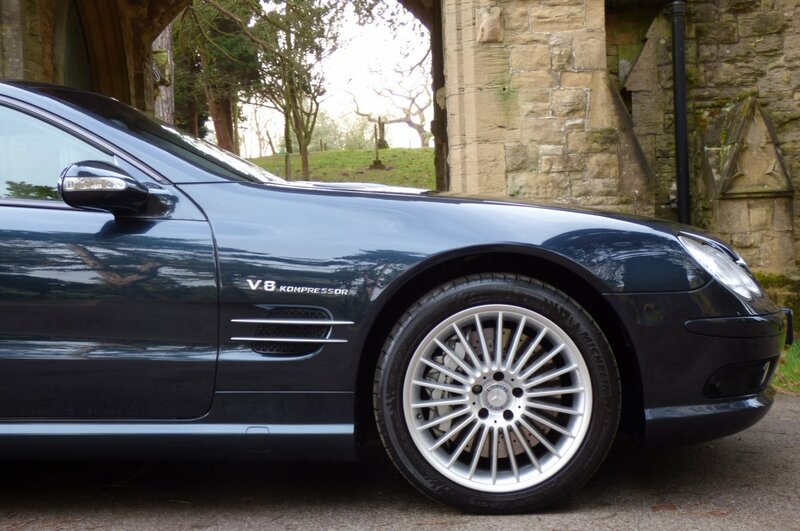 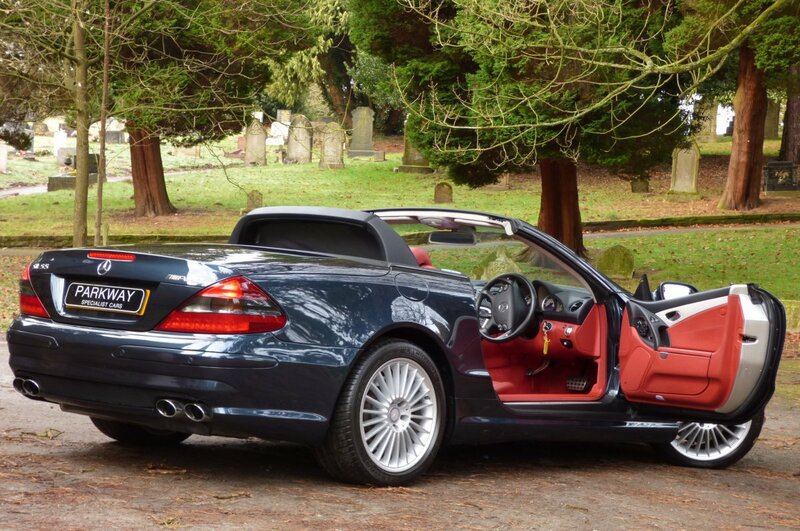 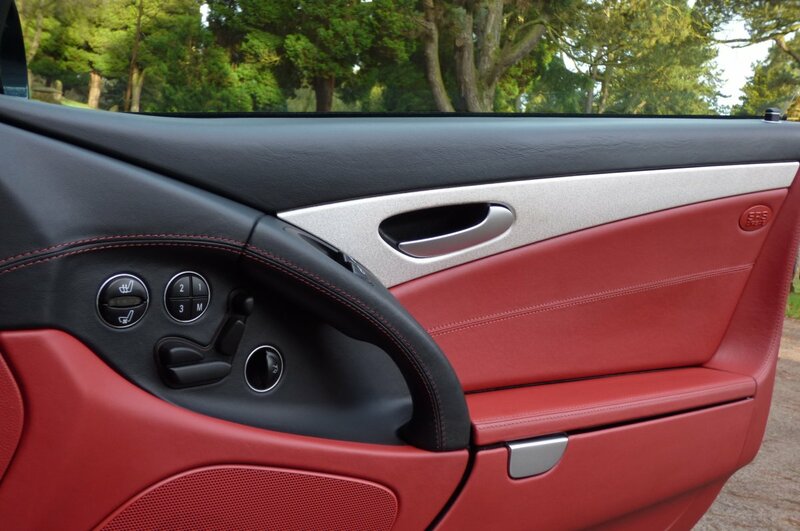 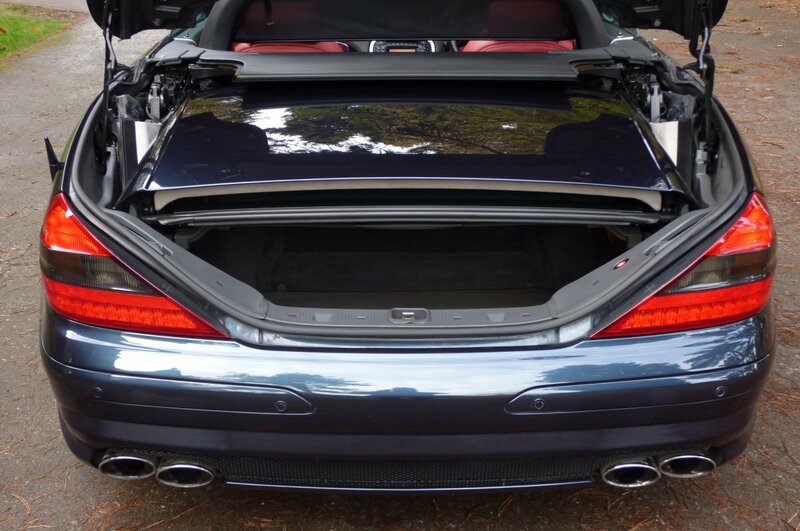 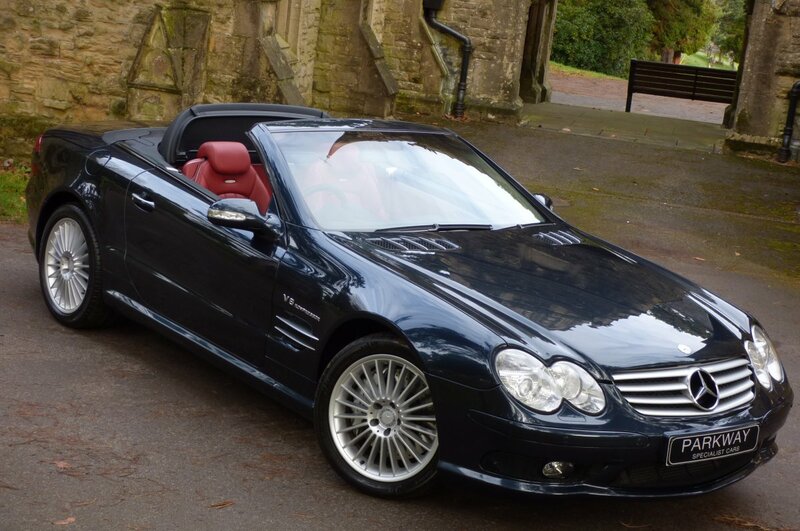 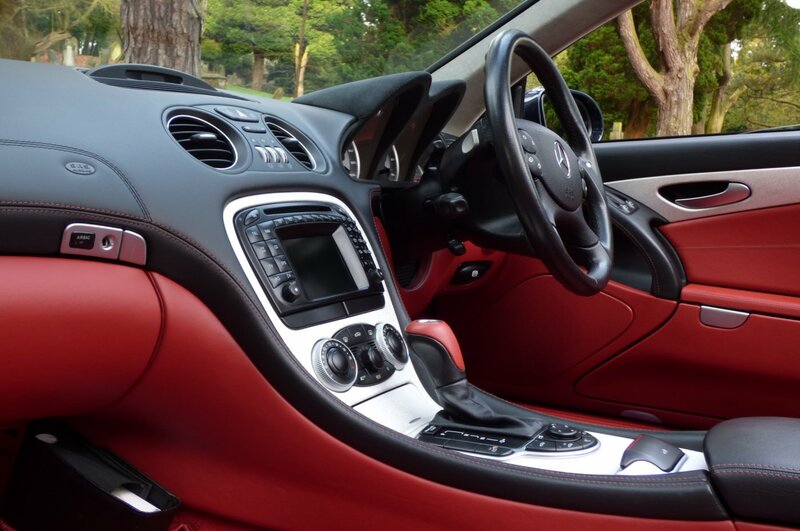 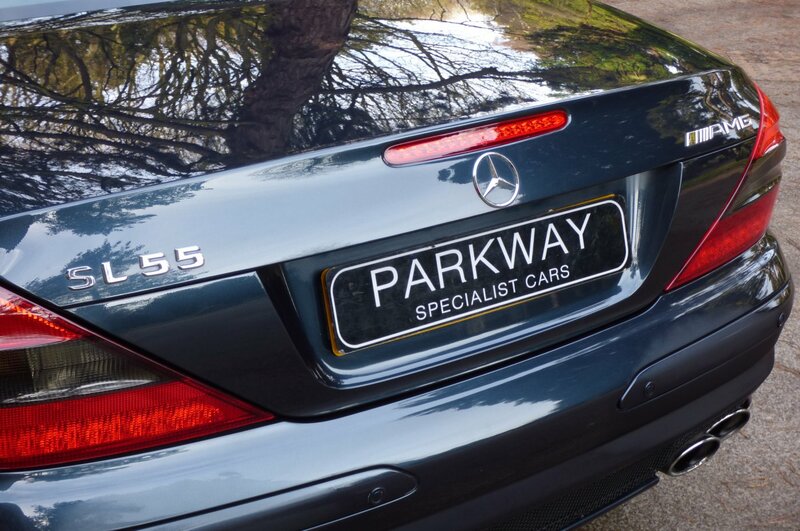 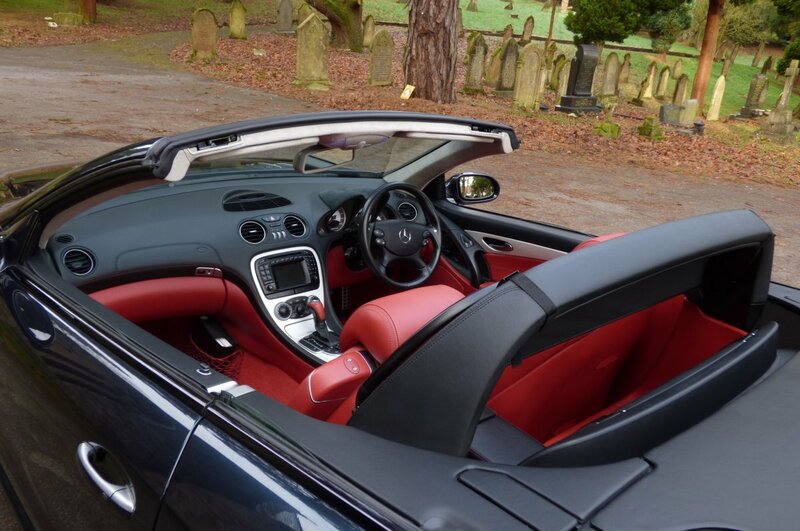 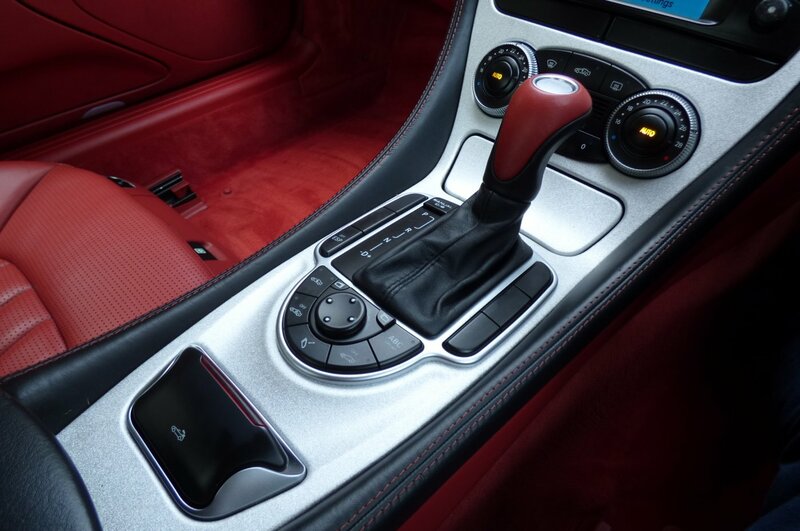 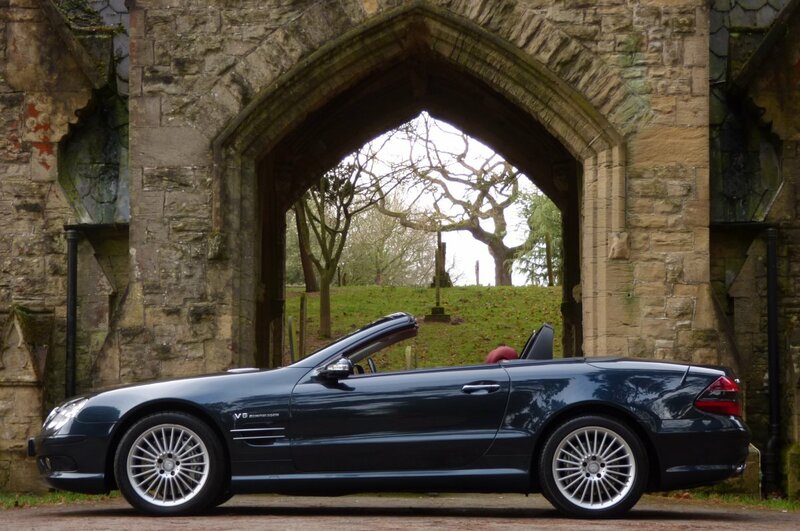 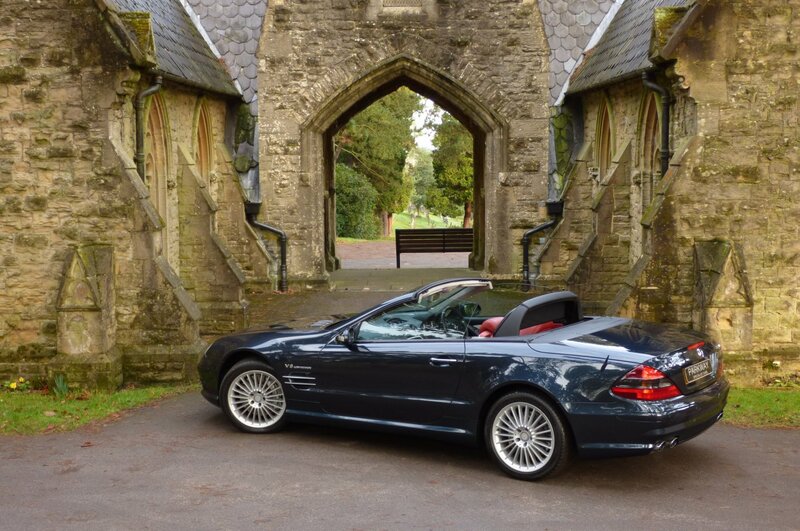 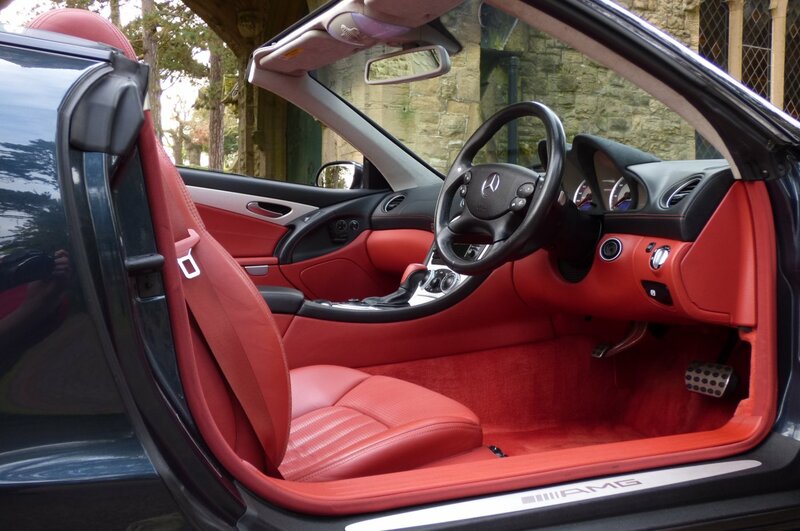 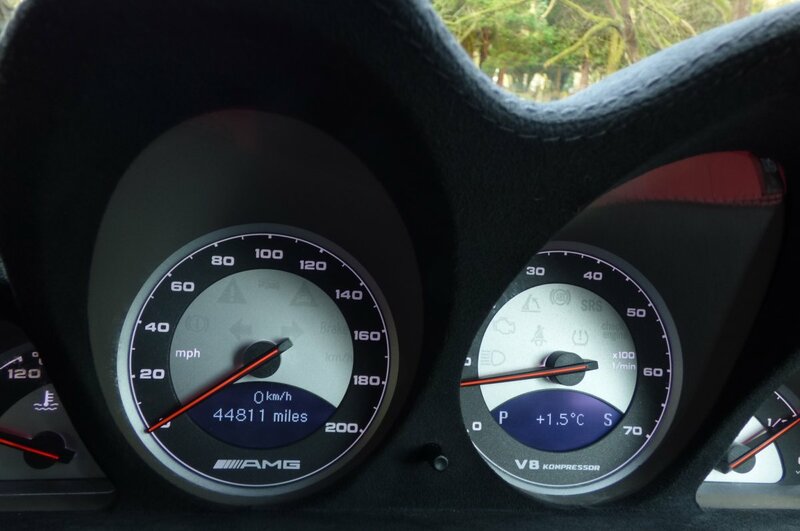 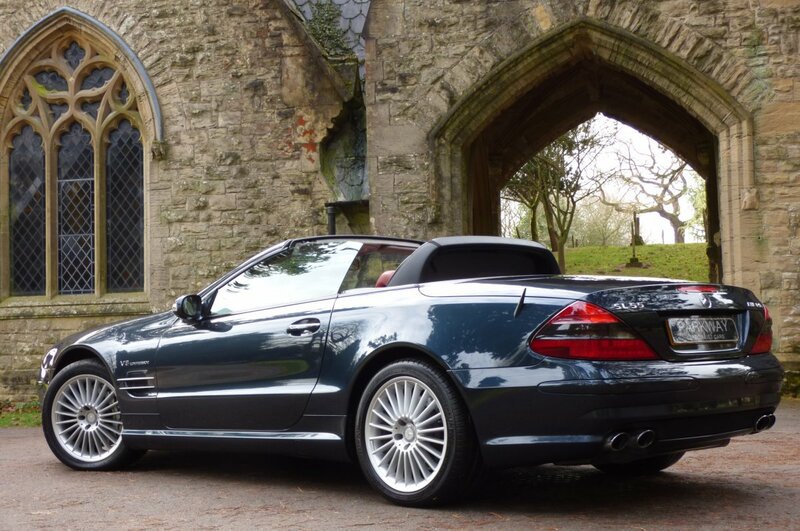 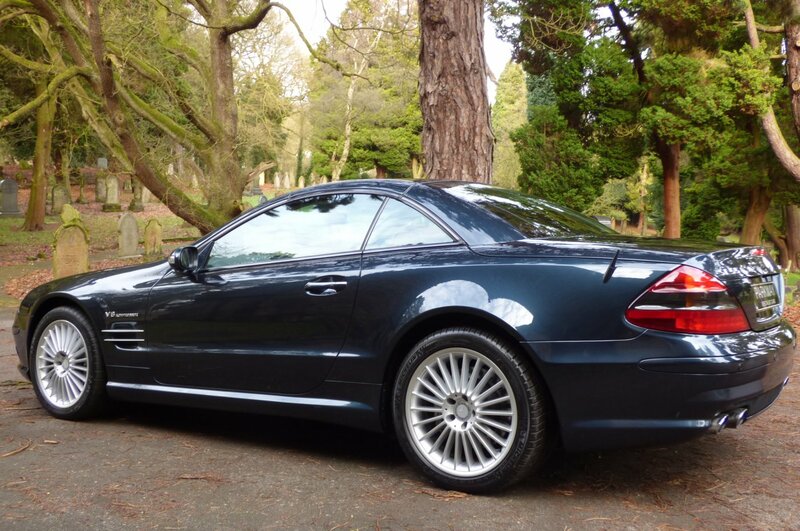 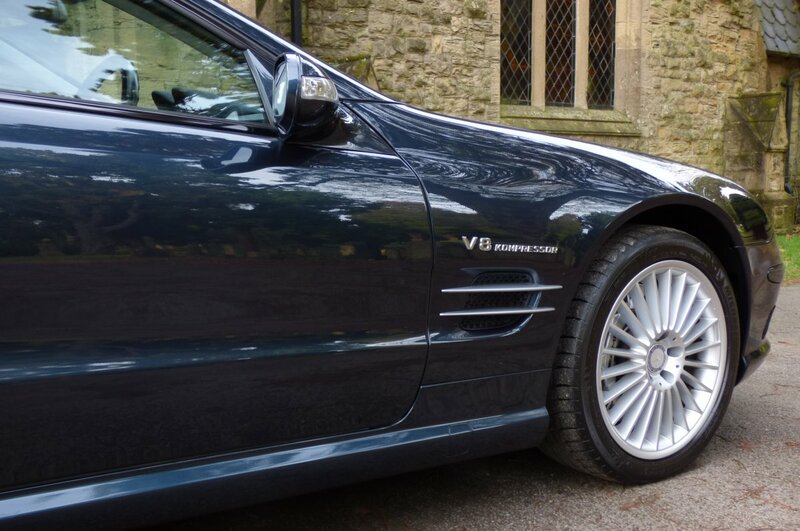 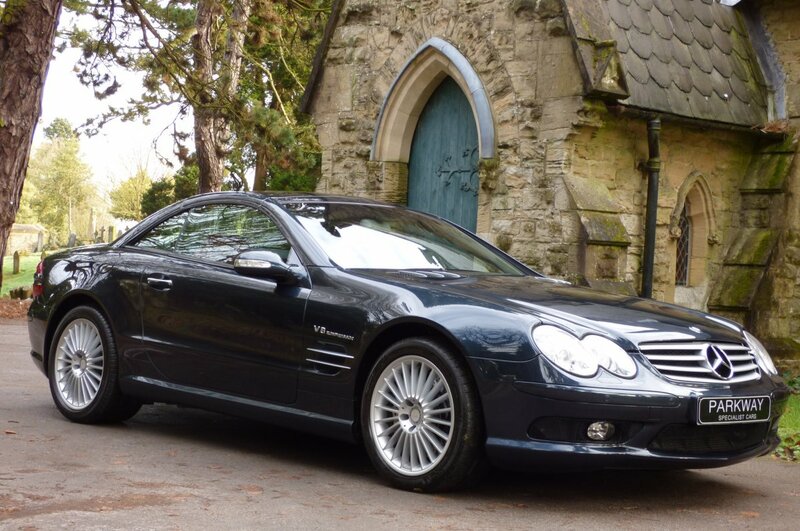 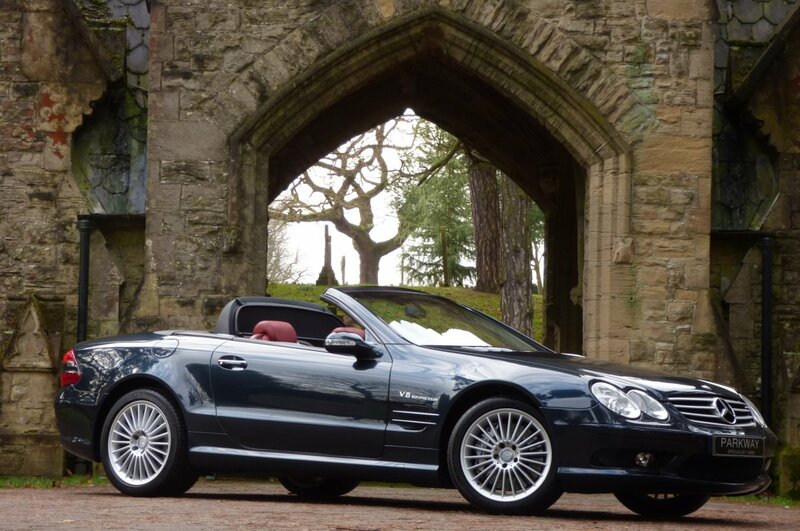 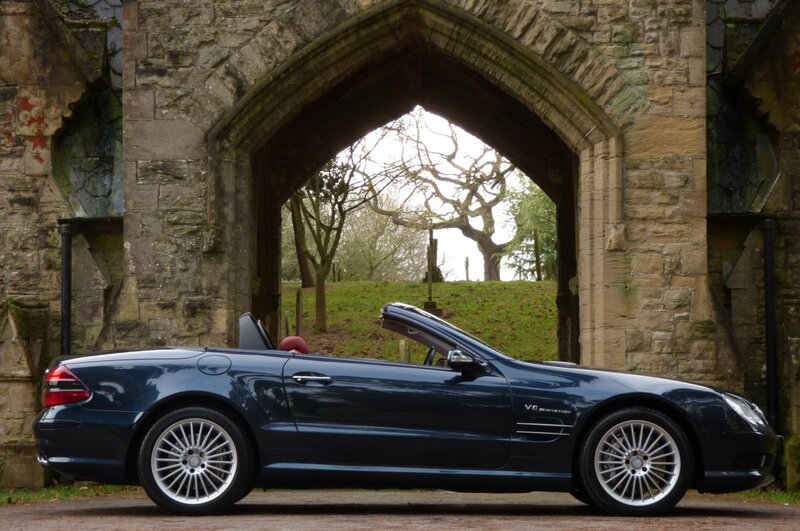 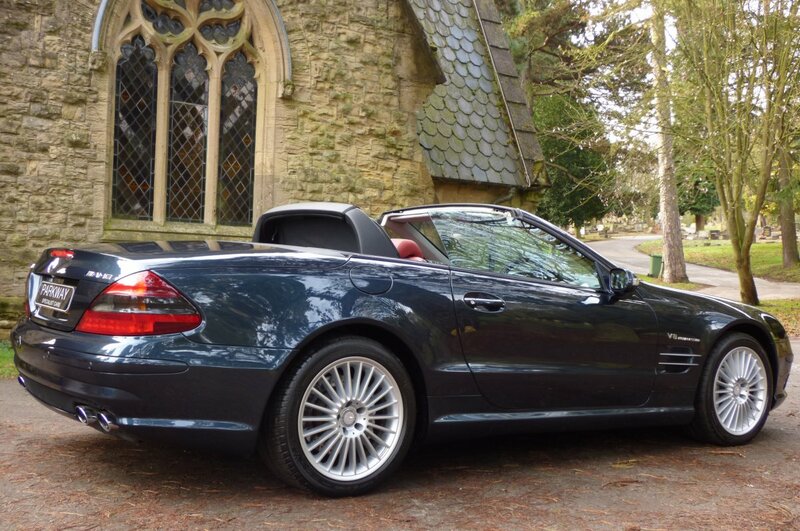 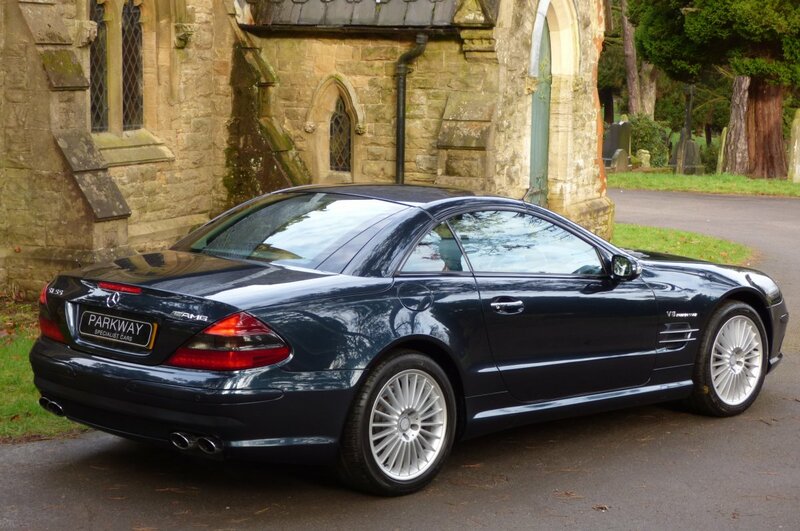 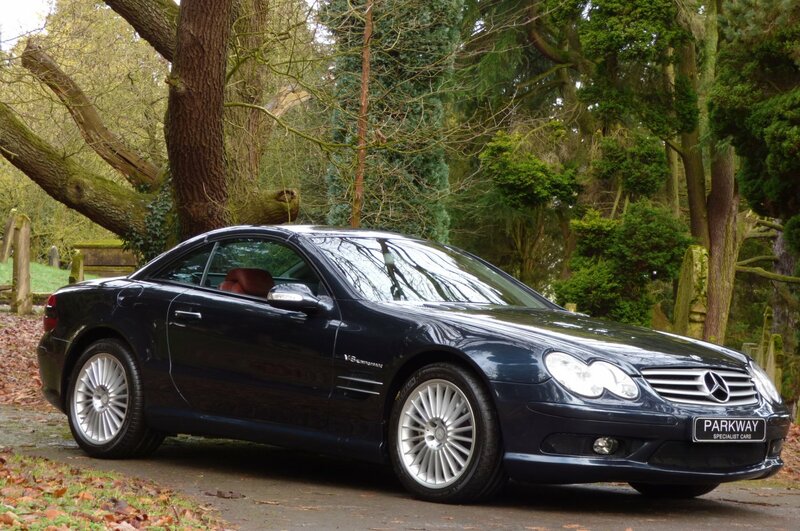 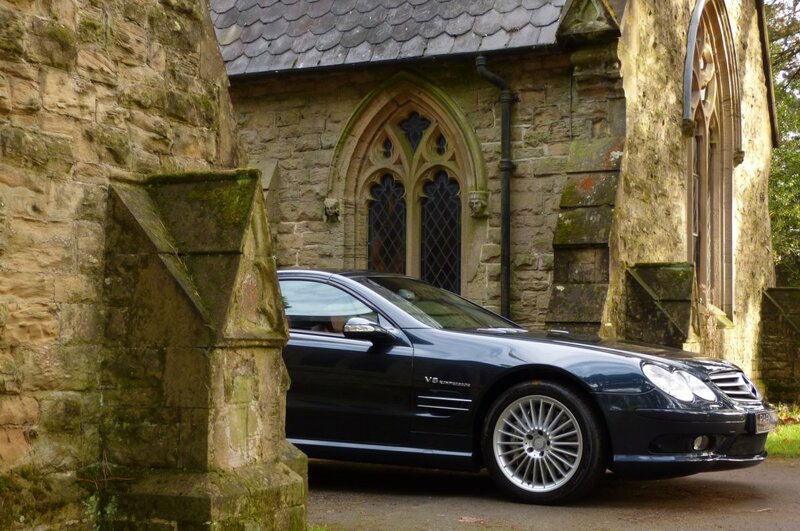 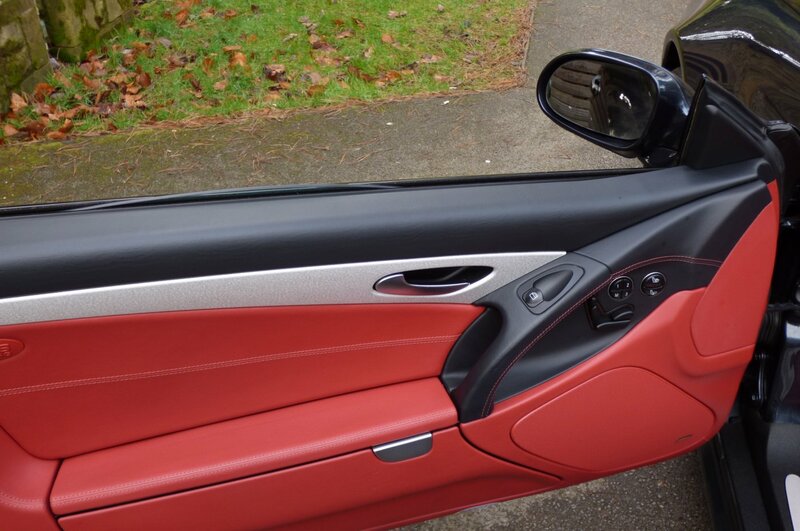 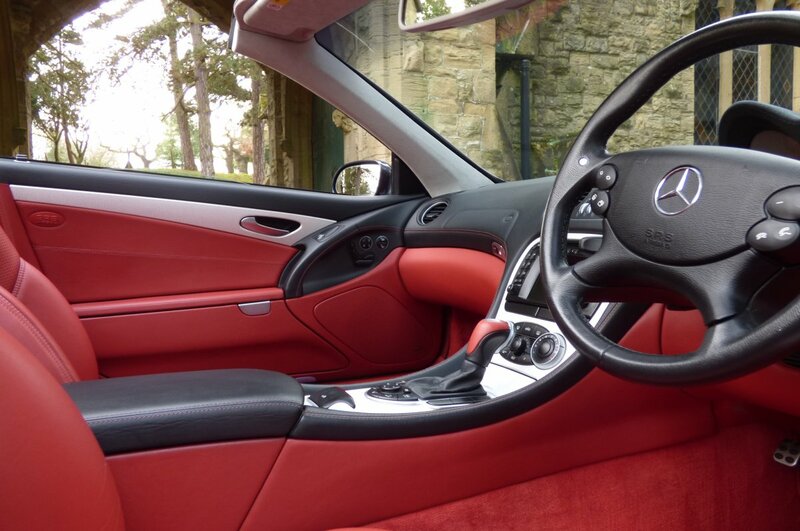 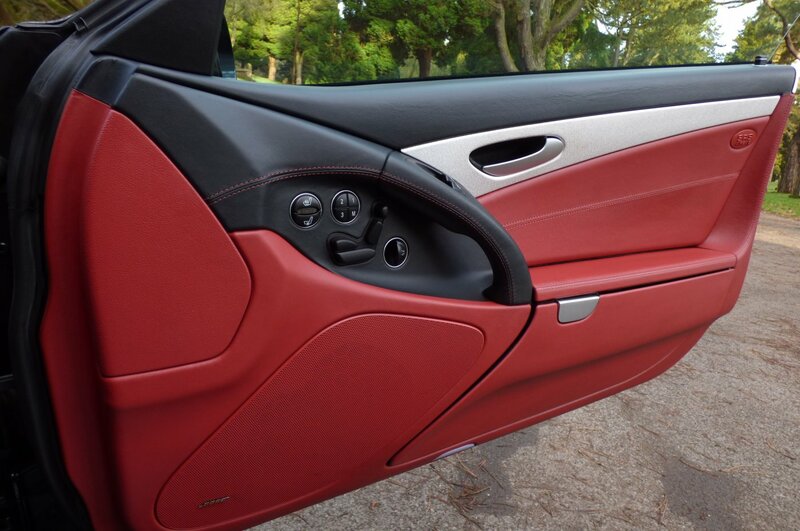 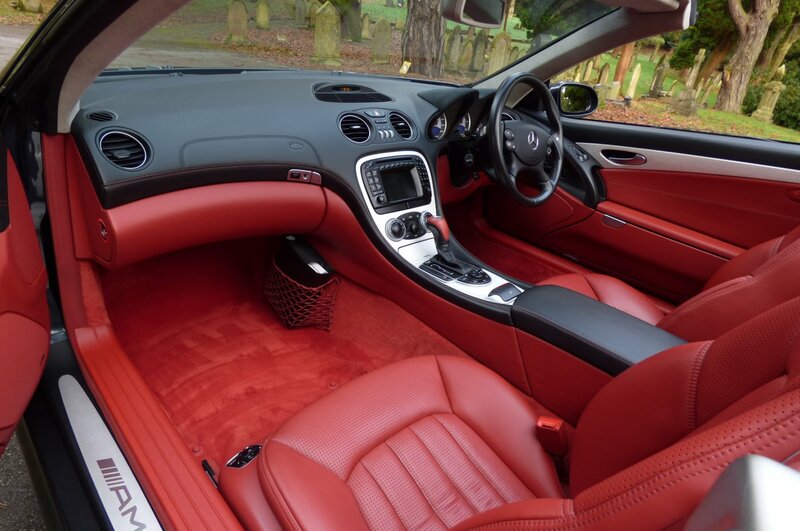 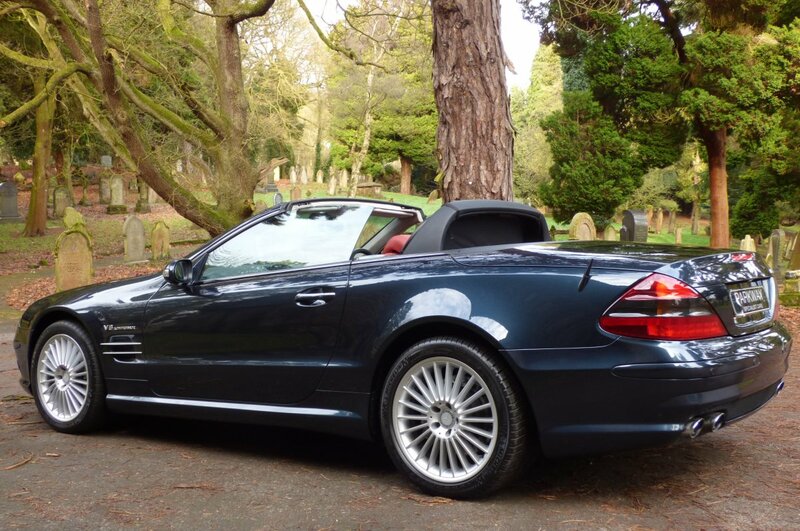 So Yes We Firmly Believe This To Be An Excellent Venture On Future Value Growth, But Still And More Importantly The Mercedes Benz SL55 AMG Is Truly A Fabulous Drivers Car To Enjoy, So This Can Only Be Seen As Having The Best Of Both Worlds. 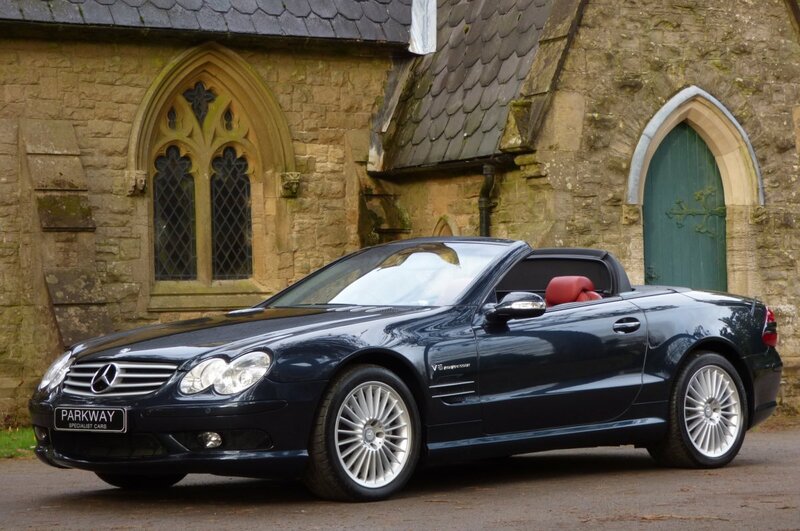 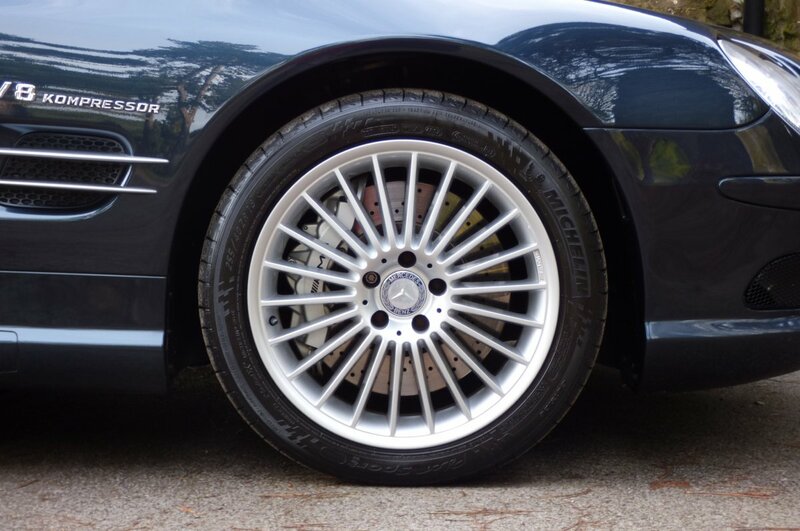 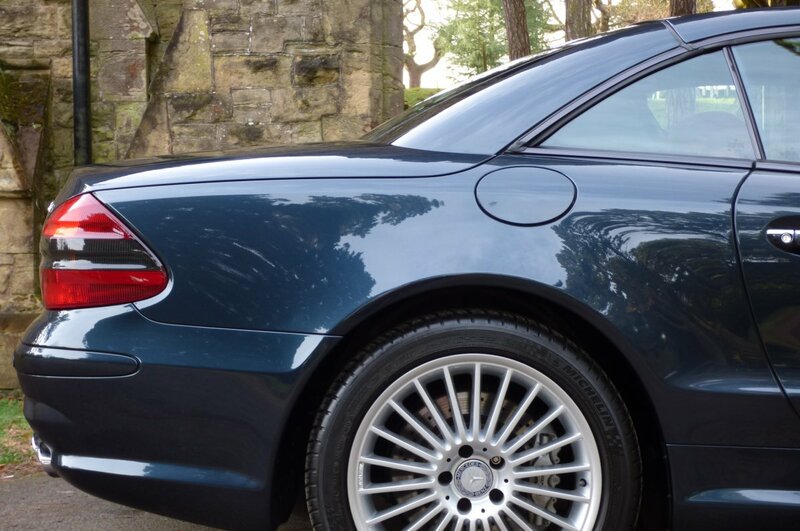 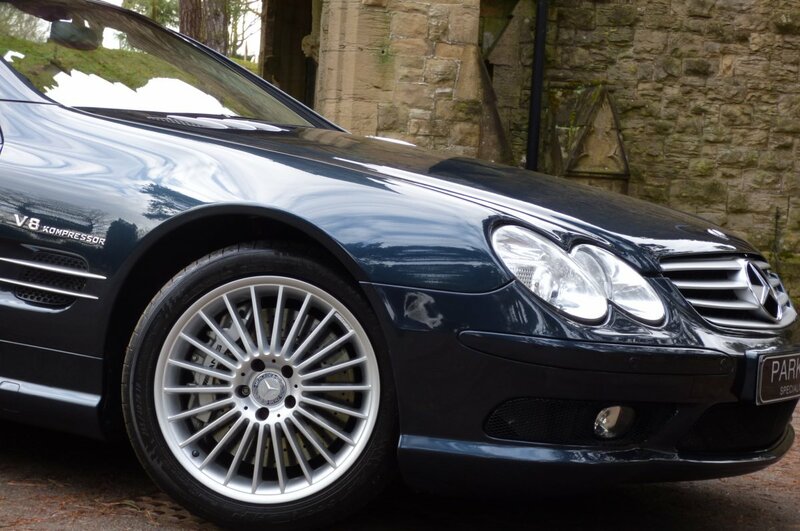 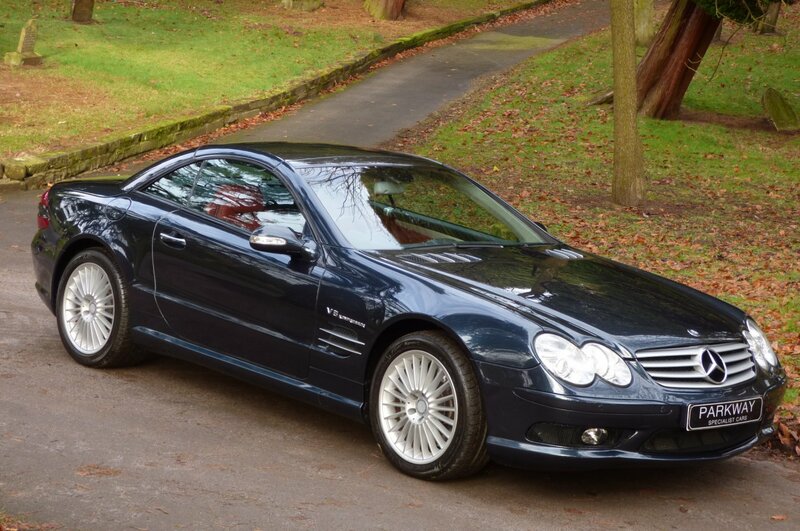 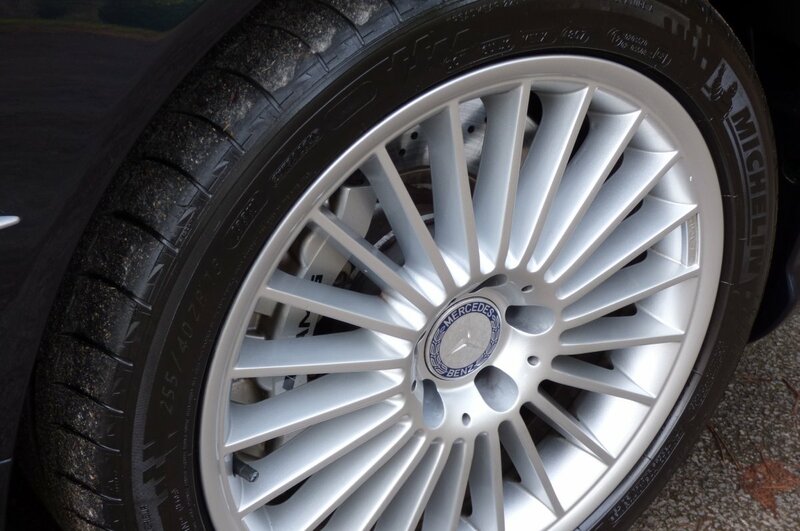 This Delightful Example Finished In A Remarkably Rare Exclusive Factory Colour Configuration Was First Supplied By Mercedes Benz Of Worcester In The September Of 2003 And Over The Last Fourteen Plus Years Has Only Had A Mere 44811 Miles Applied, Which If We Break This Down Further In Approximately 3100 Miles Per Annum, However Regardless Of This Incredible Current Reading Has Been Maintained To The Highest Of Standards With Past Historical Service Visits Logged At 9661, 19934, 21718, 27494, 31896, 36129 & 44054 Miles And Once Sold Will Have A Further Full Service Completed By Our Fully Trained & Knowledgeable Workshops Prior To The Next Keeper Taking Charge.  Also As Part Of Our Vehicle Presentation The Car Will Be Offered With The Entire Booklet Pack Set, A Fully Cleared Hpi Certificate, A Fully Functional Key Set And A Full Factory Build Card Listing All Those Important And Expensive Options From New, All In Place For The Next Lucky Custodian To Keep And Enjoy, During Their Own Time Of Ownership. 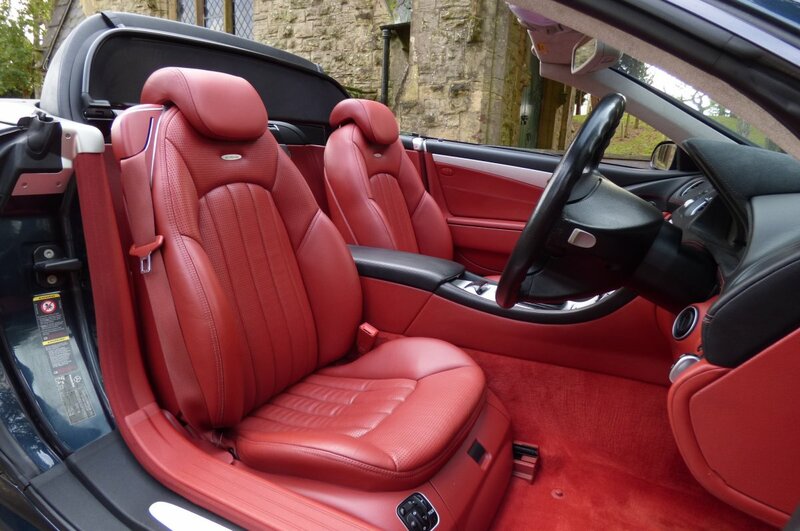 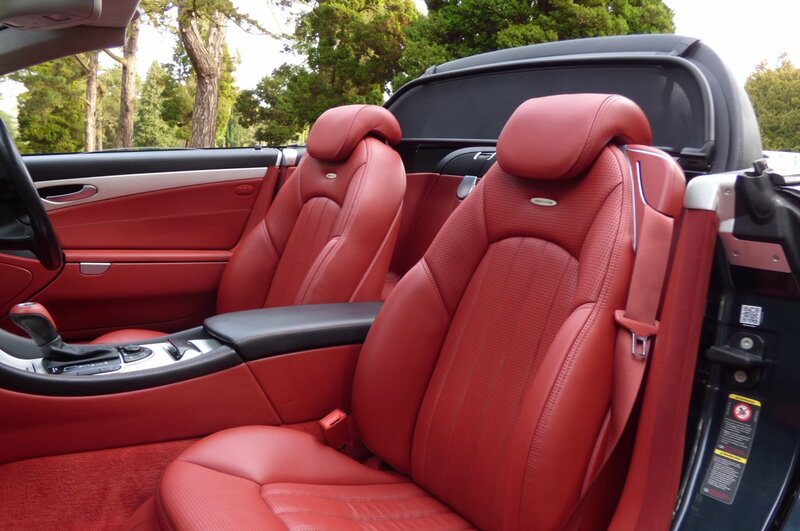 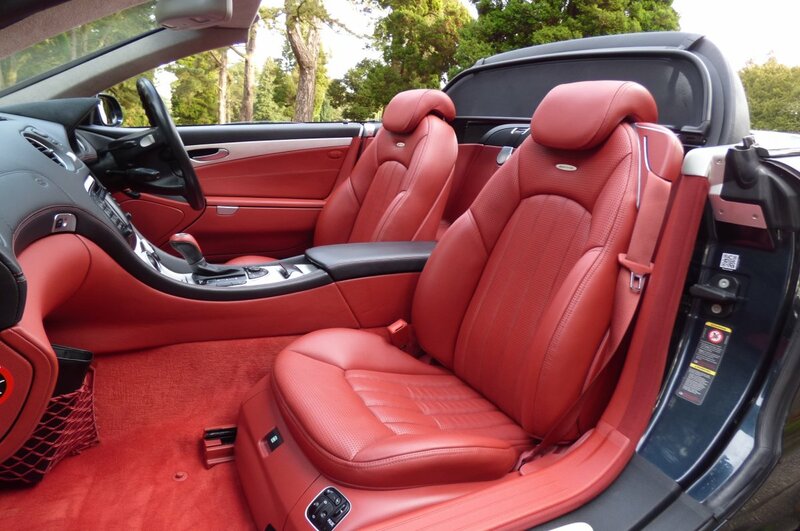 The Interior Offers The Perfect Collaboration Of Extreme Excitement And Elegant Luxurious Detailing, Meaning That No Matter The Journey, The Interior Is An Enjoyable Place To Be, Time And Time Again. 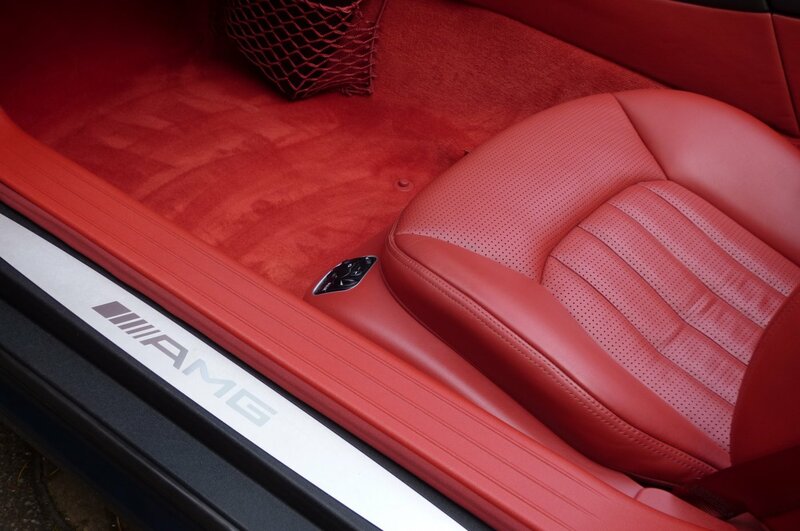 From Factory Build, This Stunning Example Was Opted With The AMG Embossed Exclusive Red Leather Sport Seating Beautifully Complemented With Red Twin Needle Stitch Detail, The Two Tone Obsidian Black & Exclusive Red Leather Trimmed Door Cards, The Red Carpets, The Light Grey Suede Roof Lining, The Four Spoke Obsidian Black Leather Bound Multi Functional Steering Wheel, The Two Tone Obsidian Black & Exclusive Red Leather Trimmed Dash That Wraps Around This Inviting Cabin And Finished With The Textured Silver Inlays, That Create A Rewarding And Truly Special Interior. 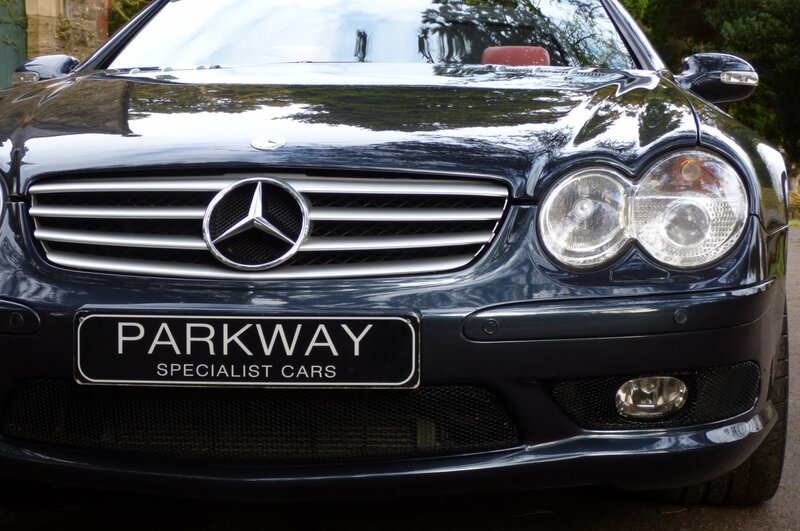 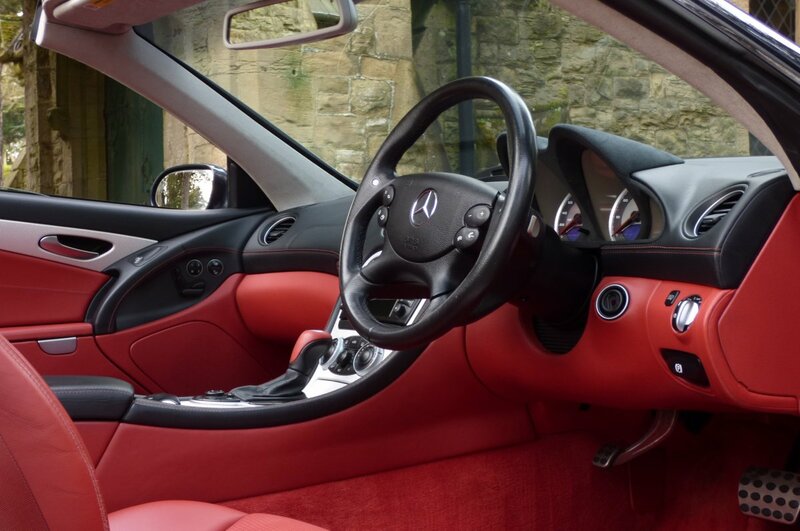 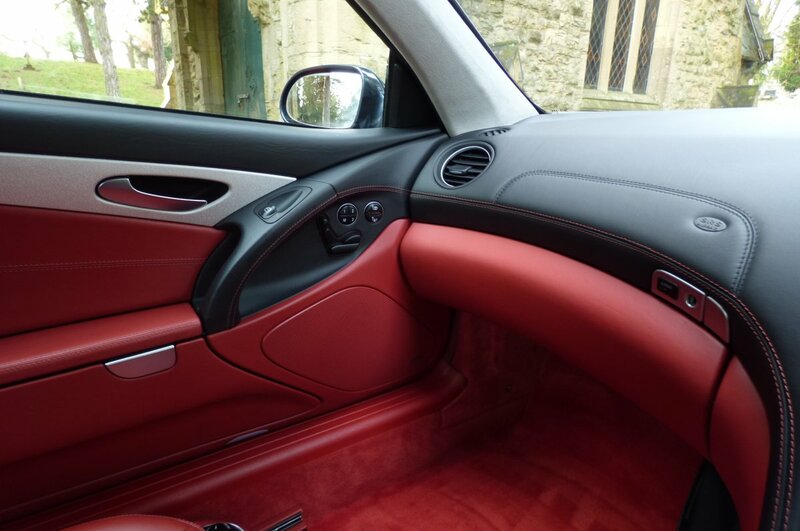 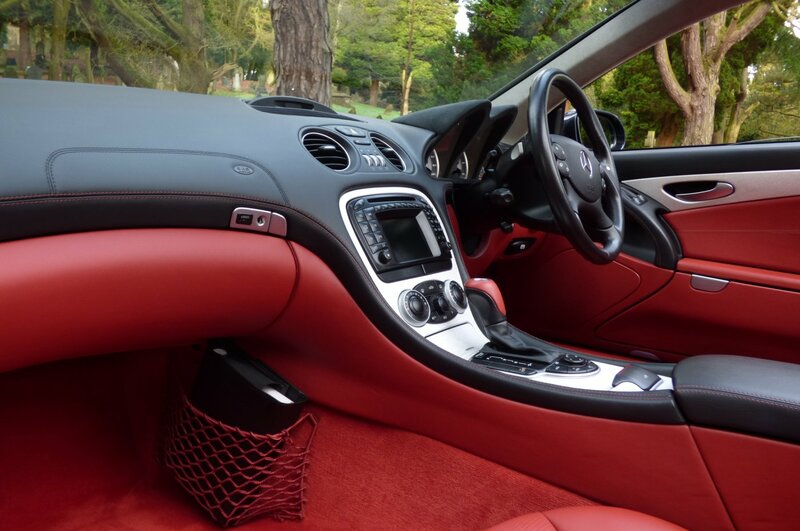 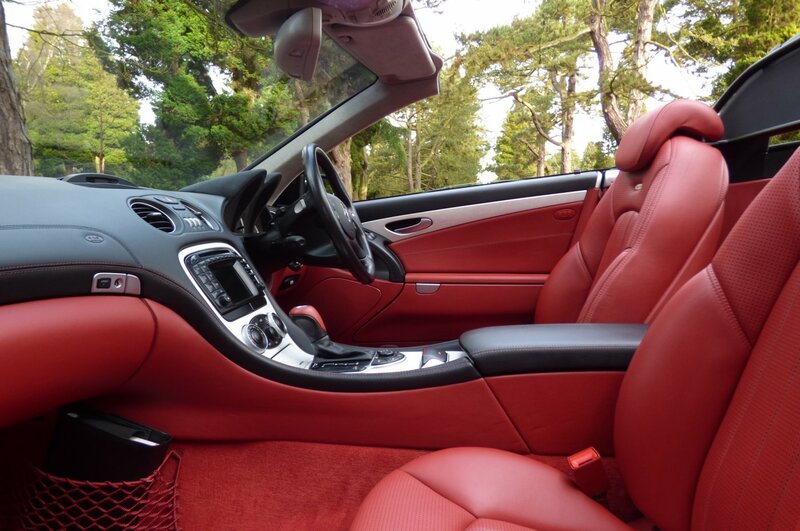 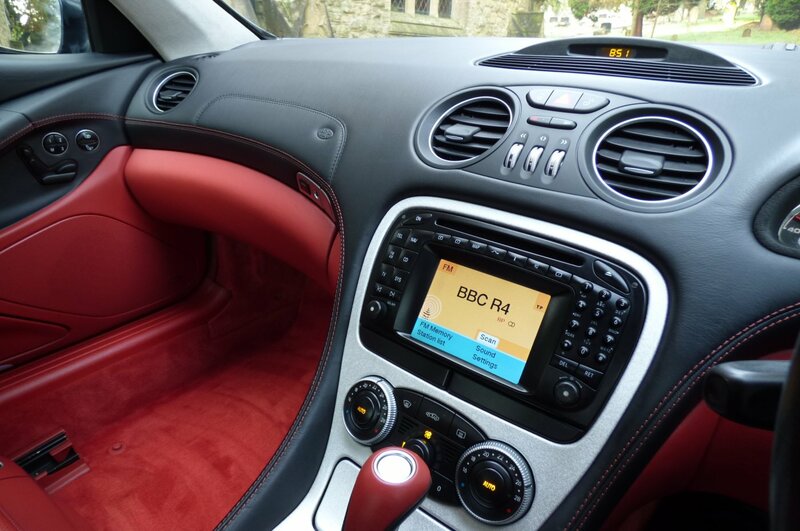 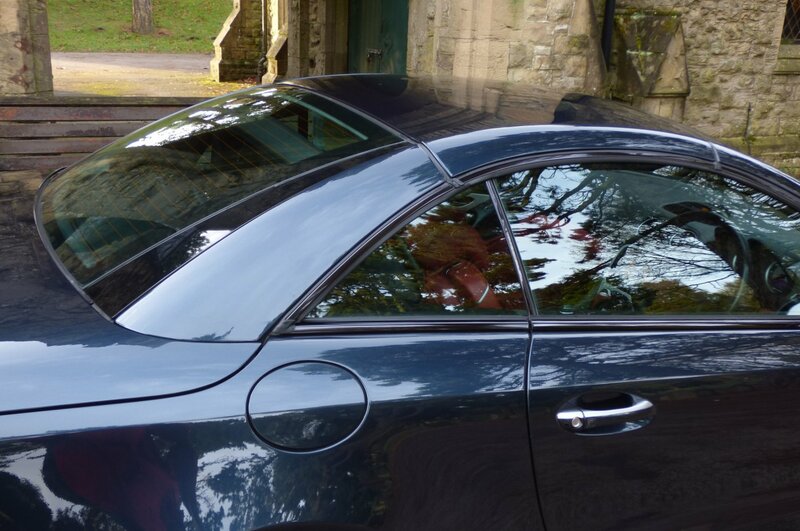 The Car Also Comes With An Excellent Level Of High End Mercedes Benz Technology, Meaning That Each And Every Trip Is Perfectly Controlled And Highly Enjoyable For Both The Driver & Passenger. 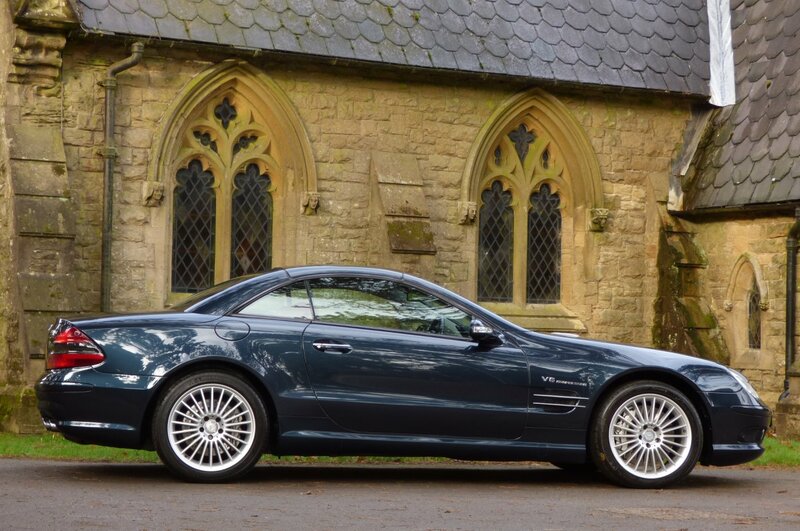 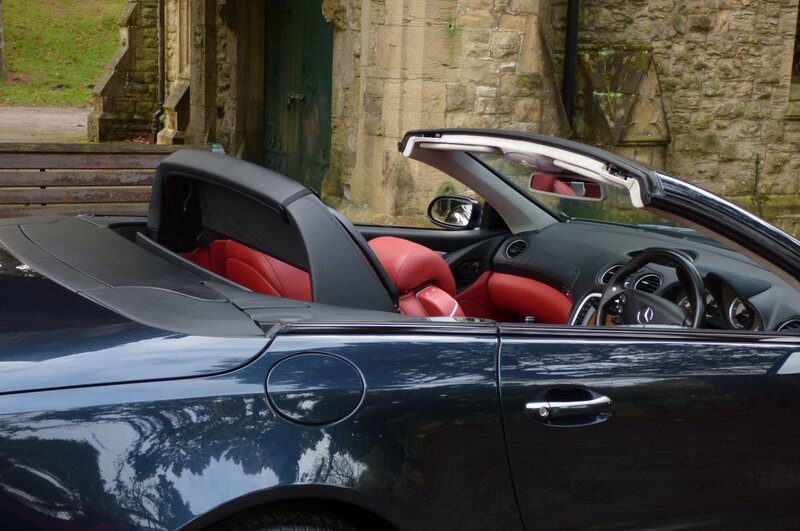 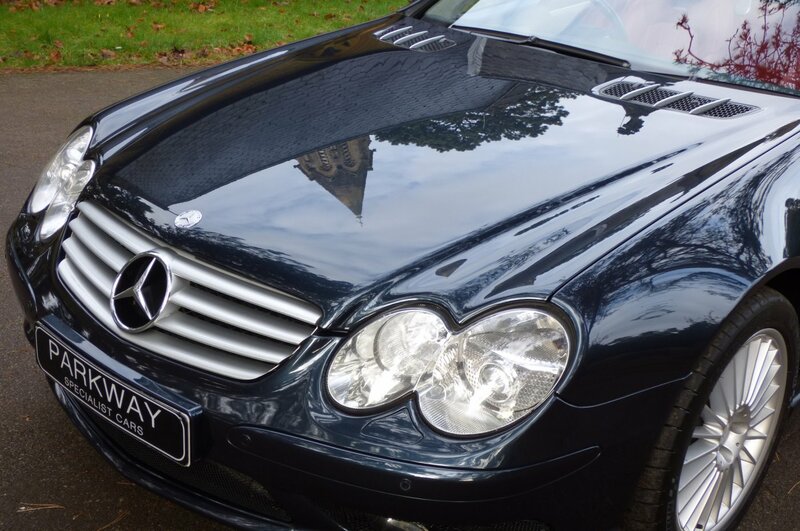 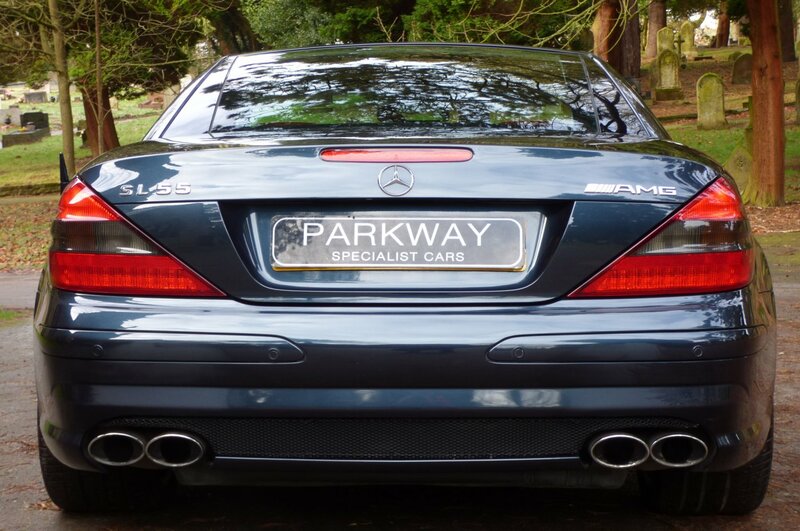 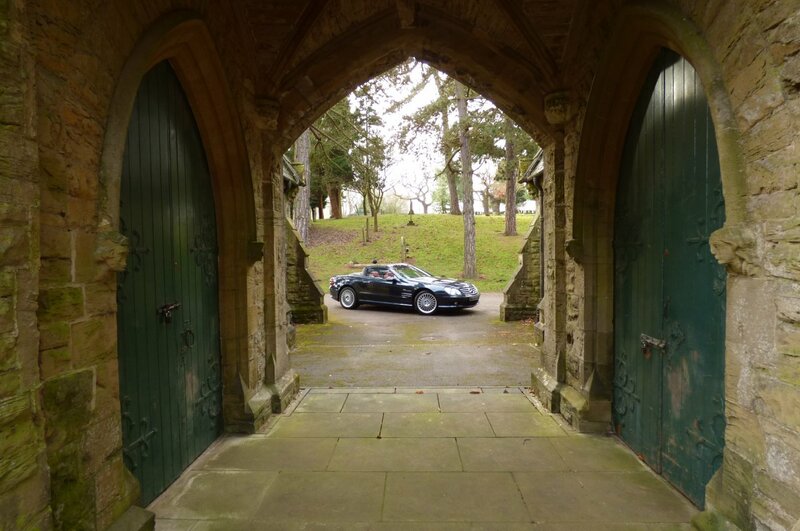 The Sculptured Body Is Presented In The Green Black Metallic, With This Rare Finish Perfectly Showcasing The Aggressive AMG Curves, The Distinctive Mercedes Exterior Lines And Looks Stunning With Or Without The Electric Solid Convertible Roof In Place. 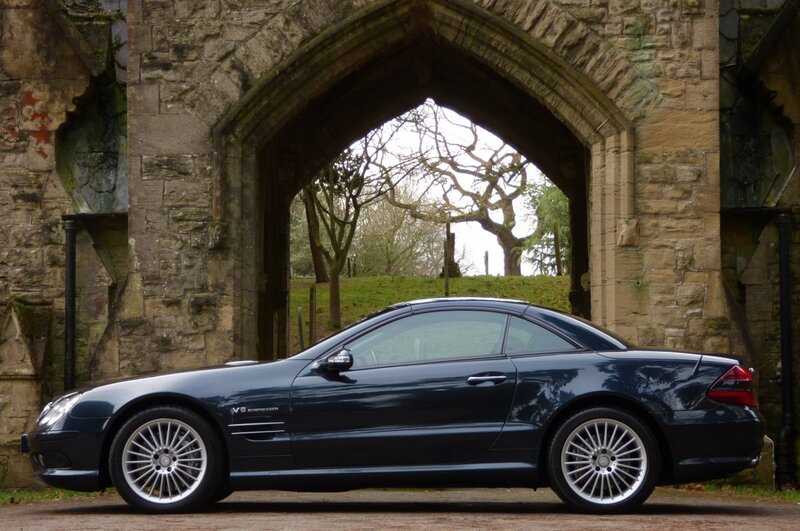 Further Exterior Treats Are Presented With Silver Finished Unmarked 18" AMG Multi Spoke Alloy Wheels Which All Sit On Branded Tyres, The Chromed AMG Embossed Quad Exhaust Tips, The Blackened Mesh Rear Bumper Grille, The Silver Painted Bonnet & Front Wing Blades, The Mercedes Benz Embossed Silver Brake Calipers, The Bright Silver Front Grille With The Three Pointed Star That Dominates The Nose And Decorated With The Now World Famous Infamous AMG Motifs. 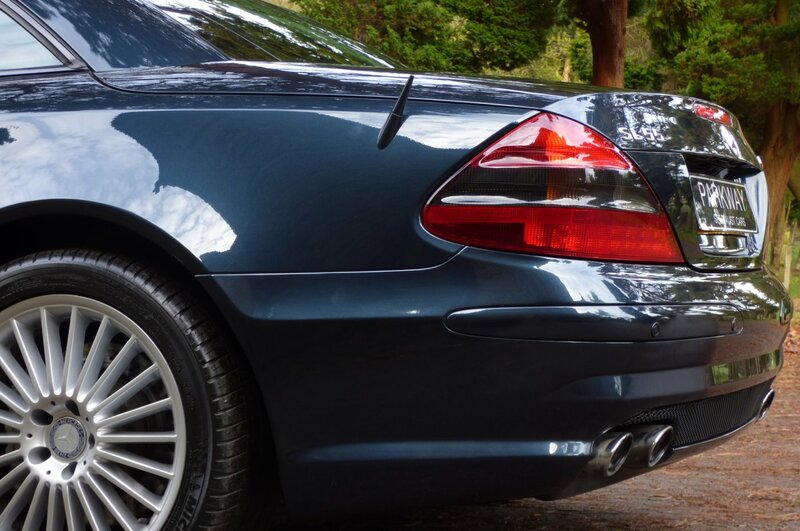 The Vehicle Looks Staggeringly Beautiful From Every Angle And There Are No Surprises Why Is Shape Has Become Highly Desirable On The Collectable Market Place. 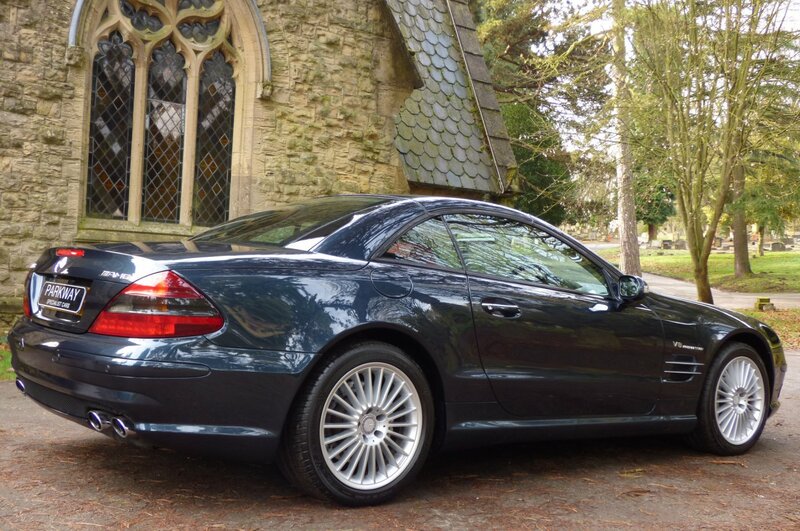 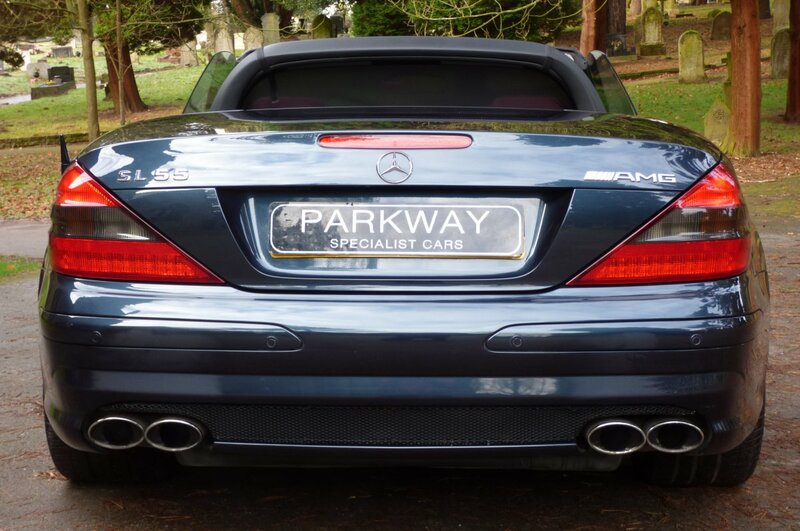 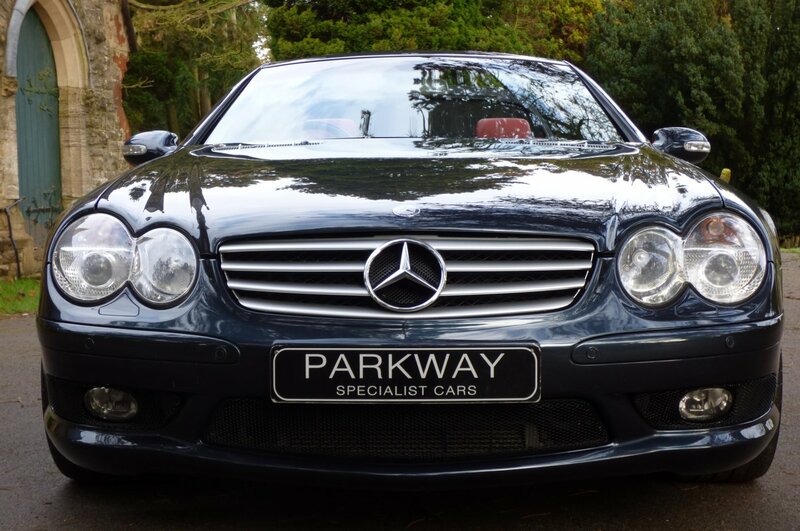 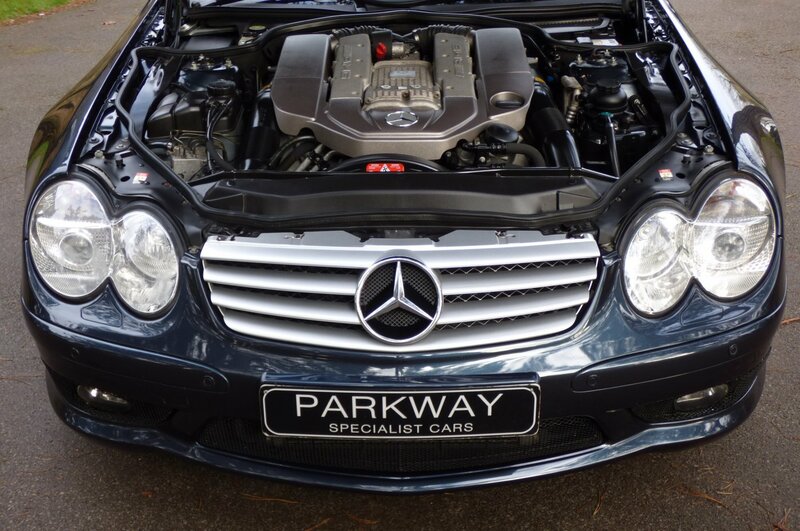 This Lovely Example Is Presented With Excellent Mercedes Benz Options To Include The Full Colour Information Screen With Satellite Navigation System, Silver Finished 18" AMG Multi Spoke Alloy Wheels, The Bright Silver AMG Brake Calipers, The Chromed Tipped Quad Exhaust System, Front And Rear Park Distance Control, Cruise Control, Electric Front Seating With Memory, Xenon Headlights With Power Wash Function, AMG Embossed Aluminium Internal Sill Kick Plates, Mercedes Benz Steel Pedal Set, Rain & Light Packs, Mercedes Phone Preparation, Multi Change CD System, I Pod Connection, Seat Pulse Settings, Remote Central Locking With Alarm, Key-Less Entry, Dual Zone Climate Control, Electric Folding Mirrors, Variable Heated Front Seats With Cooling Systems, ABC Suspension Active Body Control, Heated Front Screen, Electric Fabric Wind Break, Bose Speaker Sound Package, Electric Steering Wheel And So Much More. 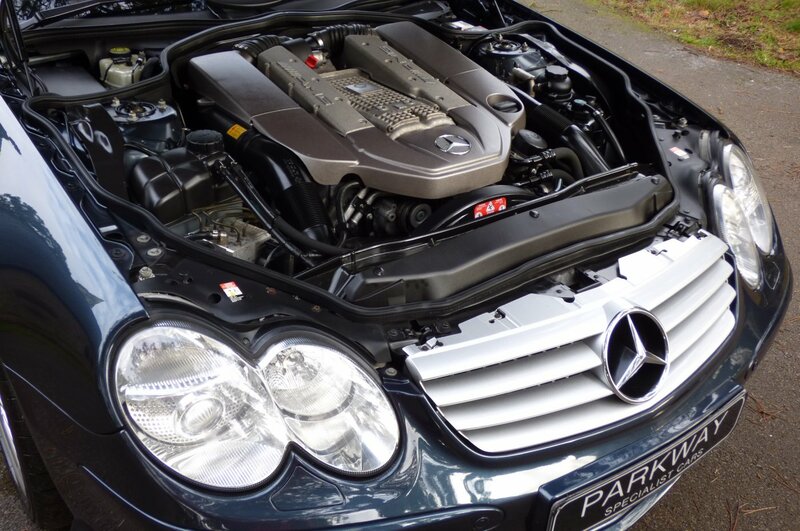 Offered With All The Books, The Entire Key Set And A Fully Cleared Hpi Report.